Hello GunZ International server players! If you haven't already heard. A new update is on the way. It contains the following (Bug Fixes, Anti-GameLag, Full Quest) + much more. Come to LegacyGamers and experience what the new Gunz is all about! Learn about all the new items and weapons that are unavailable in the other versions! Experience the new Quest! Also, check out what we've got planned for the full LegacyGamers Gunz service and let us know what you think! Experience GunZ: The Duel, the way it was meant to be played, with Quest Mode, Duel Match Mode and upgraded Clan functions. The new LegacyGamers Gunz service means a new game, new IDs and a new beginning. 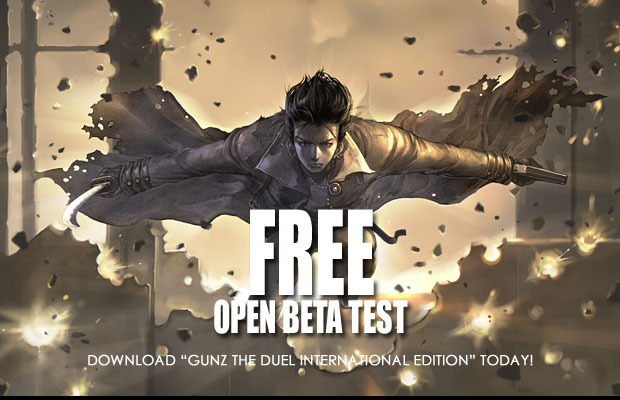 Reserve your GunzID by participating in the Closed Beta Test Service! Be one of the first to try out GunZ on the North American server! Experience better latency and take advantage of the opportunity to provide feedback for the new service! In order to enable Beta Testers to see all of the new GunZ, we have accelerated the XP and bounty systems so that Testers can level up and earn money faster. Unfortunately, this means that we will have to reset the Test accounts at the end of the Closed Beta. However, we will be preserving your ID¡¯s, so be sure to reserve your ID by participating as a Closed Beta Tester! See you all at LegacyGamers Now! The exact starting date will be announced soon.